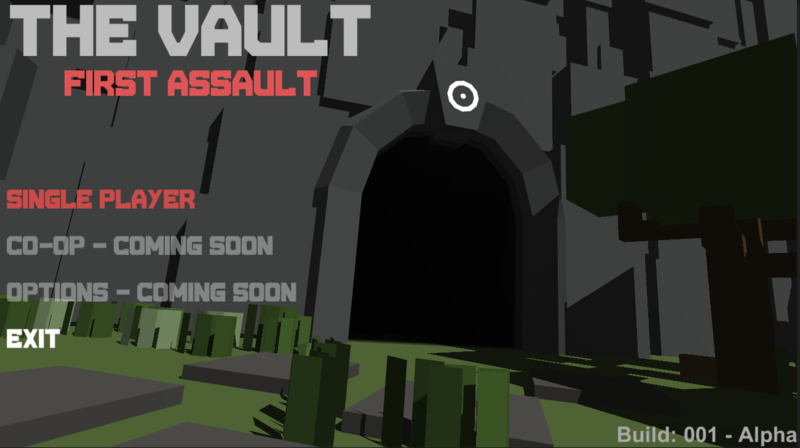 The Vault: First Assault, is a Top Down Rougelike shooter. Most of mankind are dead after a alien robot horde invaded earth. Now you and a few other survivors must take up arms to defend what is left of the human race. The game features lots of power-ups to help with destroying those alien robots, lots of different enemies for you to blast your way through, make history on the leaderboard!, play with your friends or family in Couch Co-Op mode. In this update I will detail some of the new changes made to the game as well as some of the new media I have created to get ready to showcase the game to you guys fairly soon. Ok, so first is the new Title Screen, this new change is something that I thought needed to be worked on as soon as I could so that I could at least give you guys a place to start within the game rather than just throw you into a level. It looks a couple hours and is not as refined as I would like though its ok for a demo. While the Title Screen has been the focus for most of the current days I have also managed to fix some bugs with colliders and AI as well as massively improve the AI thanks to some help over at the Unity3D forums. The AI as of now is much better than it was in my LD31 entry, the AI is now able to correctly detect walls and objects that might get in the way, the AI is also now able to shoot or fire some kind of projectile. Tweaks where made to the enemies themselves, bound box's where modified so that they collide with the player better when the enemy is in range to attack. the enemies are also able to detect how far the player is and change its path to best suit the environment. The last change in this update is for the enemy themselves, they have got a whole new look to them. 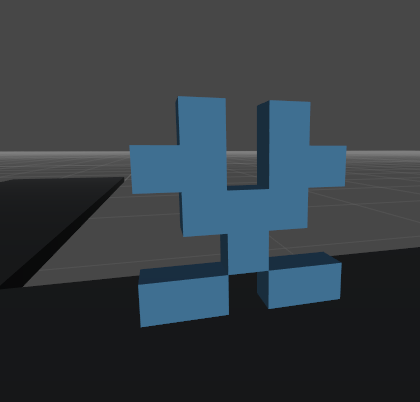 the old enemies where fat cube robots with little room for movement, this was a mistake during my LD31 development. Now though I have had time to completely give them a new life in the form of randomly generated enemies. Thats all for now, remember to check back often for new updates and soon a demo everyone can play! Have any questions or feedback leave a comment I would love to hear what people think. The Storage Room(Working title) - Ludum Dare 31 complete! After a fun weekend of game making, I can now present something for everyone to play and rate! i hope you end this, i want play it.